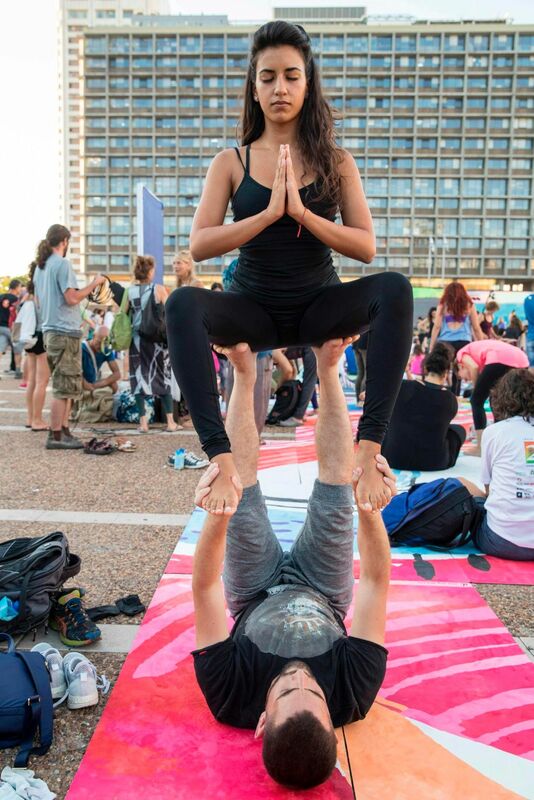 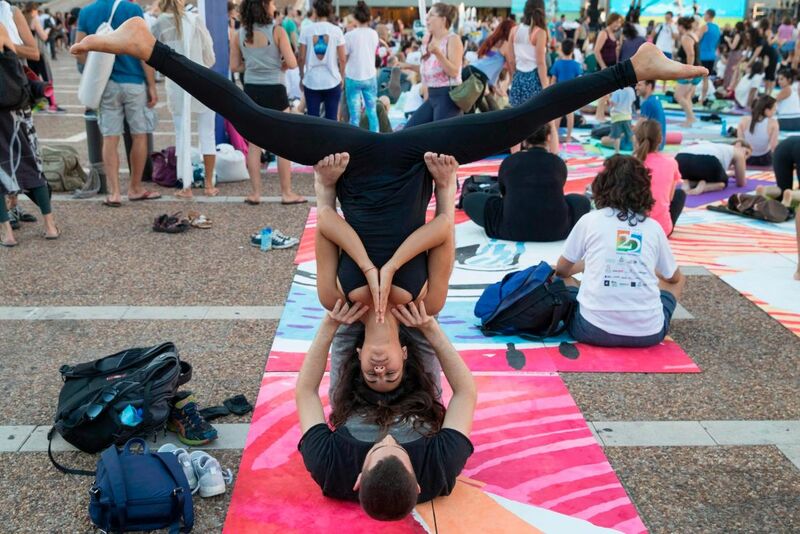 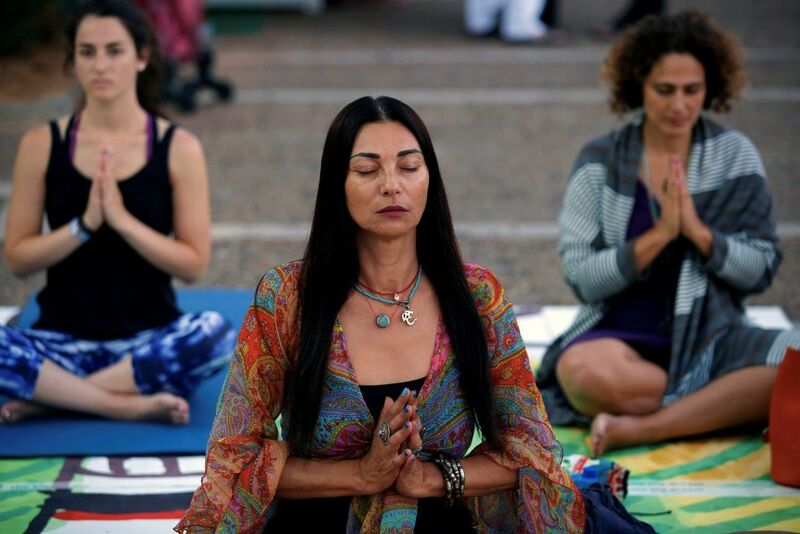 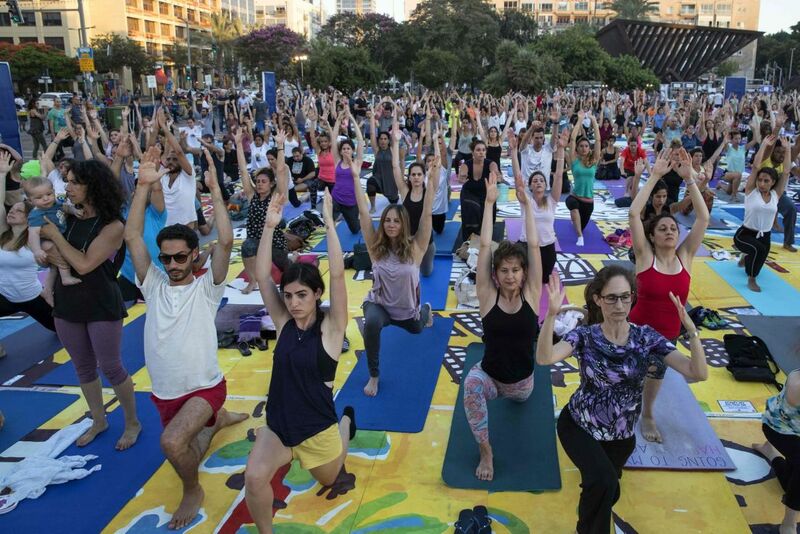 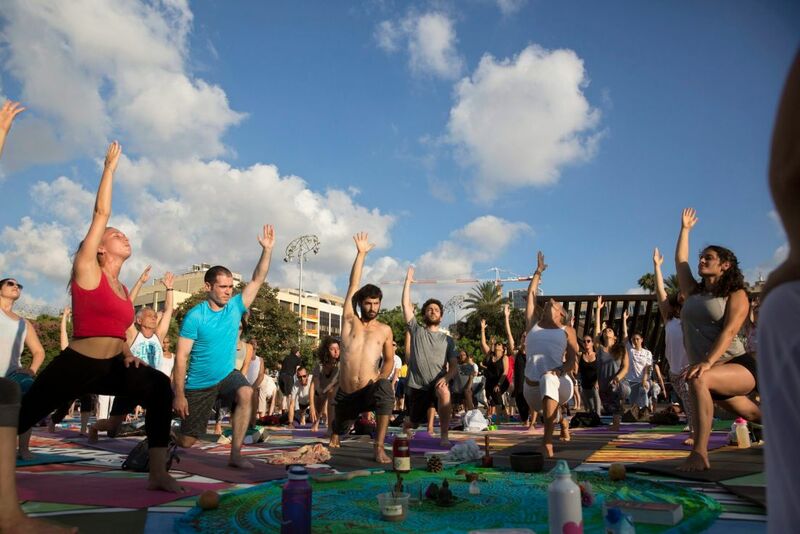 Hundreds of Israelis stretched their way through International Yoga Day on Kikar Rabin in Tel Aviv on Wednesday in what the event's Facebook page called the country's biggest yoga happening. 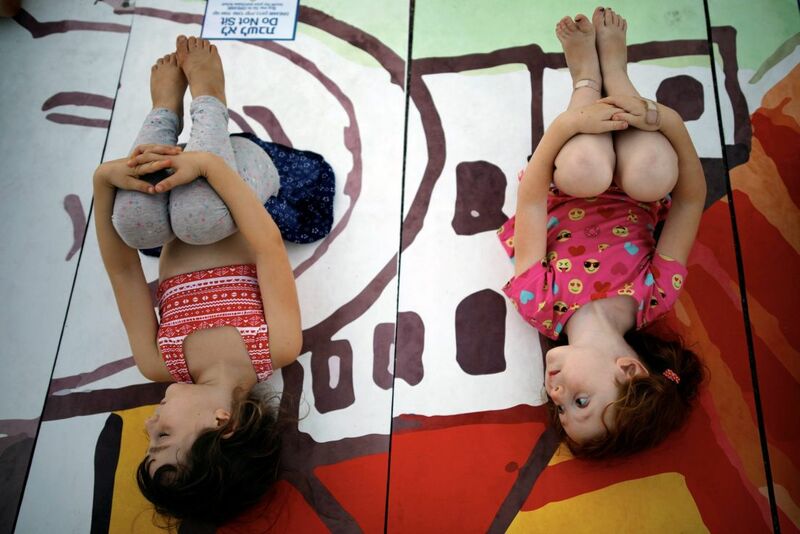 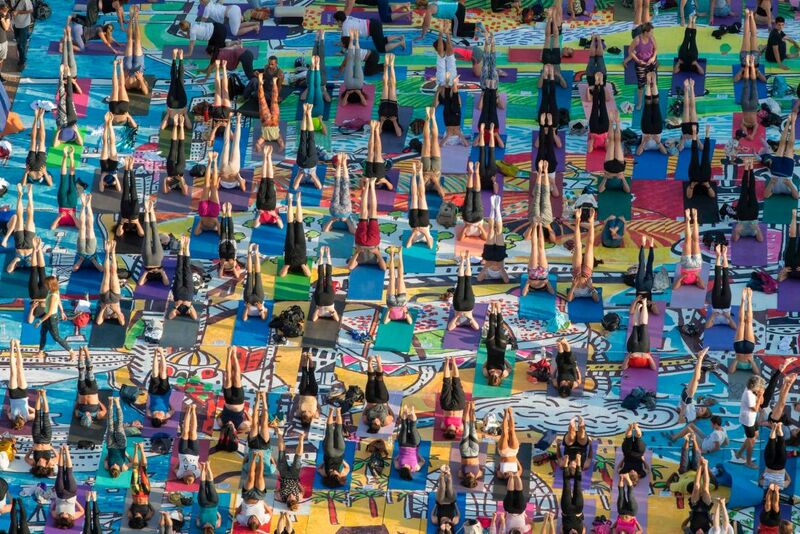 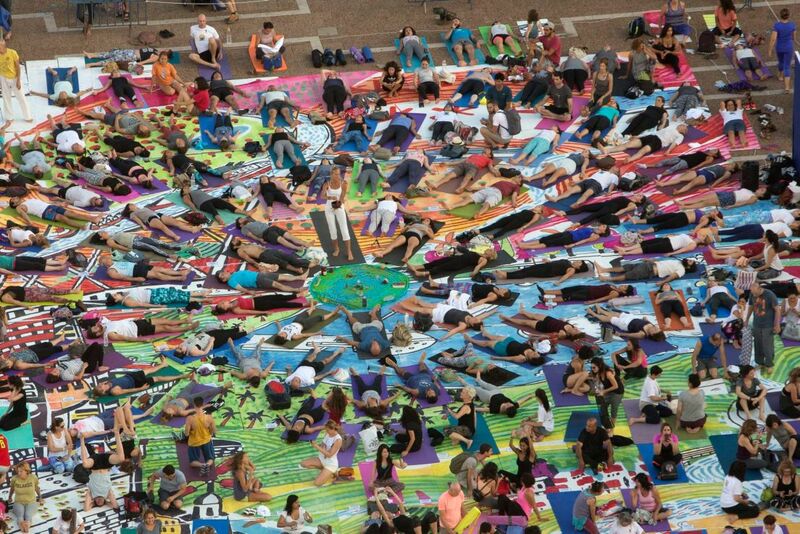 Yoga teachers from India and Israel gave classes to participants, who practiced on some 2,000 printed mats placed together to form a giant artwork. 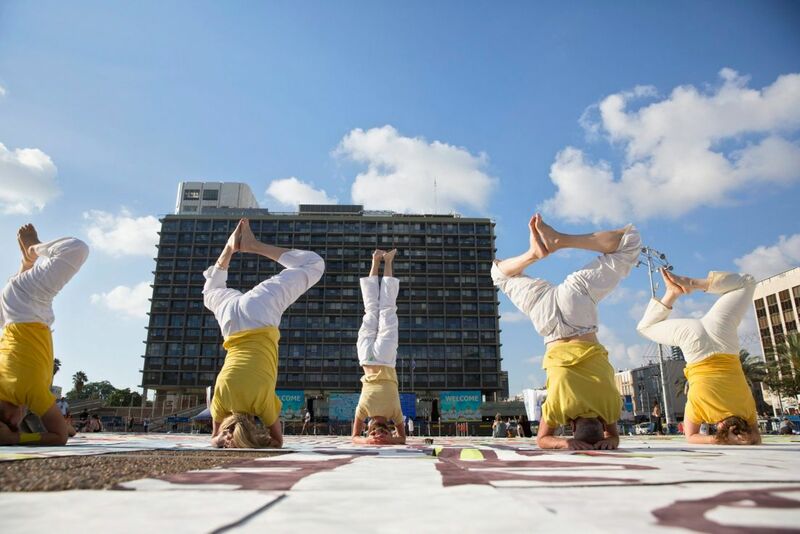 Attendants were also treated to a concert and a dance performance.